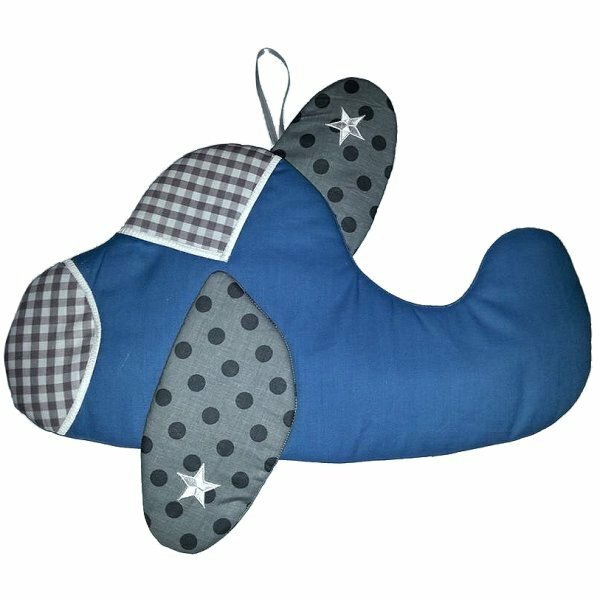 Fly away with our adorable Airplane! Measures apx 18 x 12. 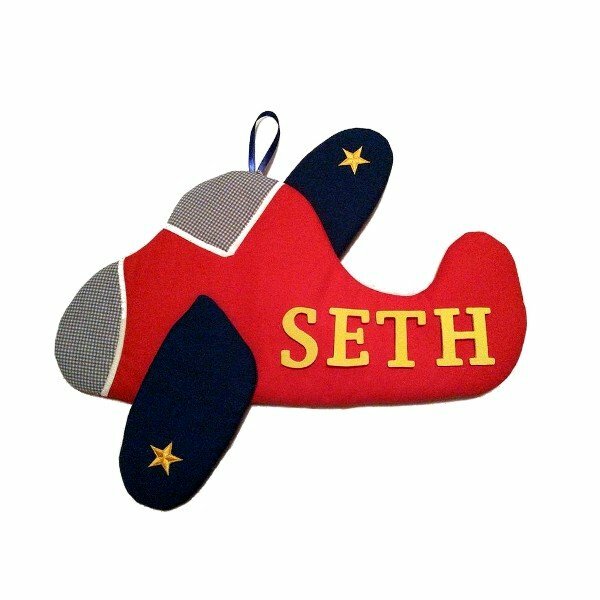 Our Airplane Wall Design is personalized FREE (up to nine letters long). Ribbon is included for easy hanging. Fabric wall design is quilted with batting and foam and has unique details.